View of FR.5 WK303 in a loop. 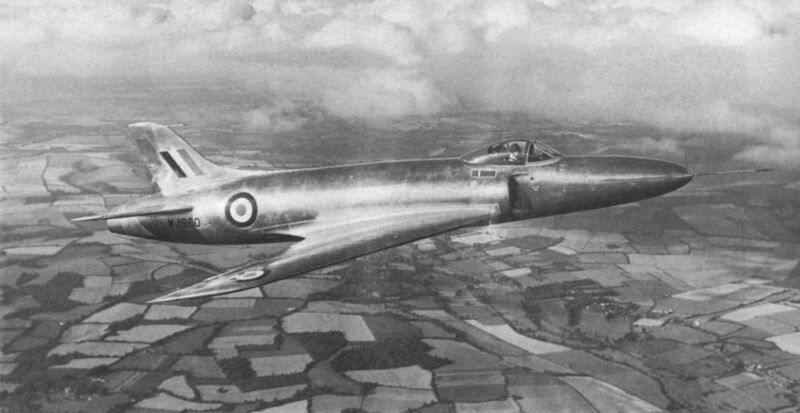 The type 510, VV106 was virtually an Attacker with swept flying surfaces. 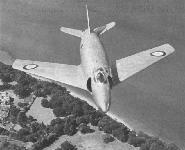 It first flew on December 29, 1948, and is seen here with its original blunt nose. 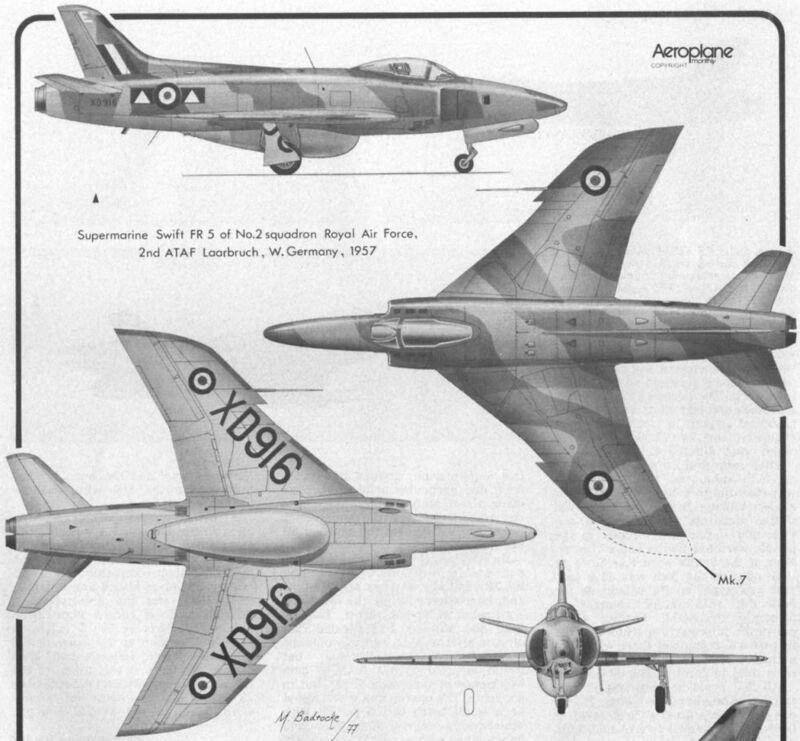 Although the lines of the 510 were improved by the addition of a needle nose, the adherence to a tailwheel undercarriage gave it an archaic appearance. Fine study of the 535 VV119 taken on August 13, 1951. 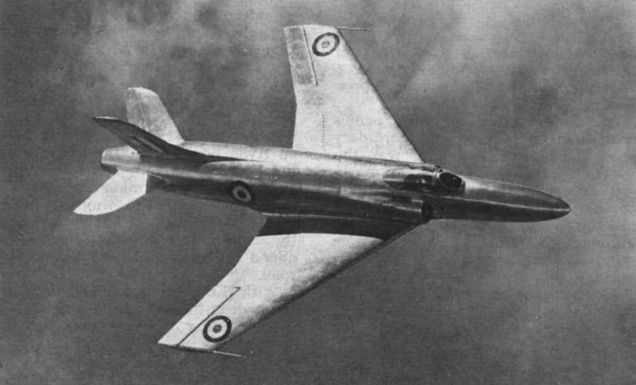 Fine study of the 535 VV119 taken on August 13, 1951. 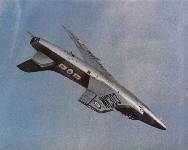 It bears the name Prometheus on its nose. 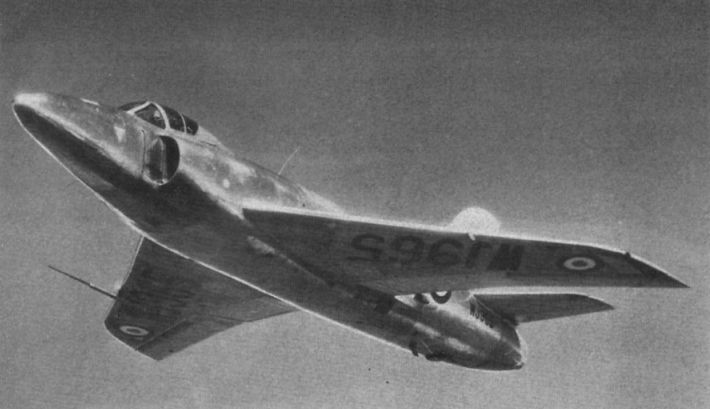 Many of the characteristic features of the Swift were apparent in the Type 541, WJ960, of 1951. Serious flutter problems beset the first true Swift, WJ965, which first flew on July 18, 1952. 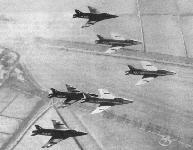 No 56 Squadron was the only unit to operate the Swift F.1 and F.2 interceptors. 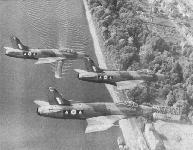 In this formation three of the unit’s natural-metal F.1s lead three camouflaged F.2s. 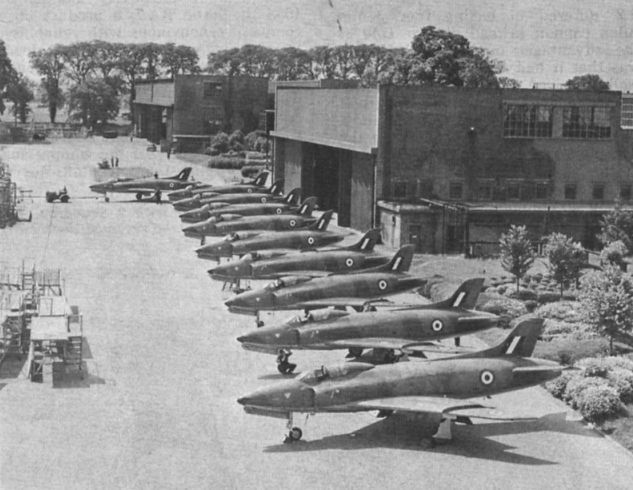 A line-up of Swift F.2s awaiting delivery at South Marston in 1956. 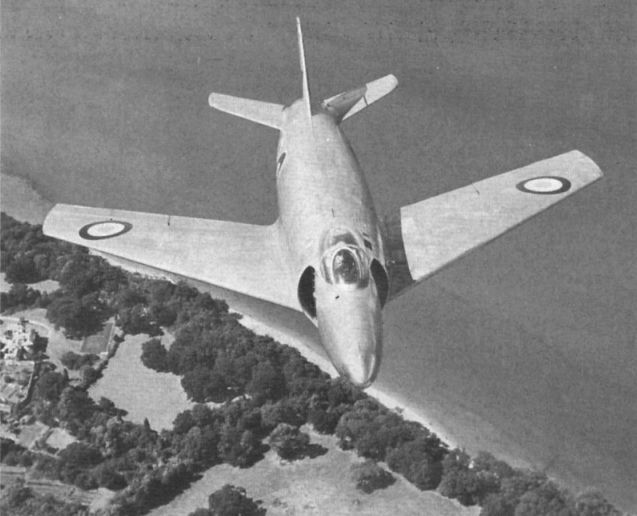 Swift F.3 WK247, photographed on September 5, 1954, was an F.2 with revised outer wings and an afterburning engine. 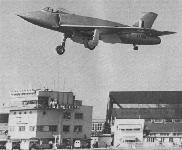 Lt Cdr Mike Lithgow in F.4 WK198, a rebuilt F.1, leaves Chilbolton for Libya on September 22, 1953. 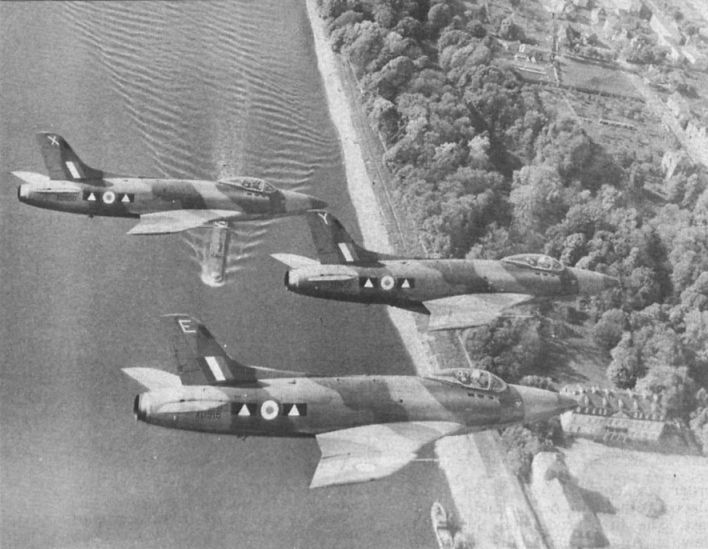 A trio of Swift FR.5s of 2 Squadron, 2nd TAF, over the Rhine in 1957. 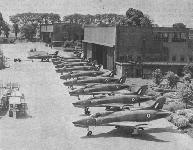 FR.5s in service with 2 Squadron, 2nd TAF, Germany, who received them early in 1956. Swift F.7 XF124 launches a Fairey Firefiash during trials with the Guided Weapon Development Squadron, RAF Valley, in October 1958. The all-blue production F.7 XF114 was the last "active” Swift, being used for aquaplaning tests at Cranfield as late as 1965/66.